Noggi is a Frozen Yogurt joint that Miss K and I have been visiting since we saw it open, its our personal favourite out of all the other FroYo joints including Moochi. As usual Miss K ordered the Biscotti with toppings and I skipped the toppings and went straight for the cone. As far as I’m aware Noggi is the only FroYo place that offers cones, I personally prefer the cone because I’m not keen on toppings which include things such as fresh fruits and lollies or chocolates. 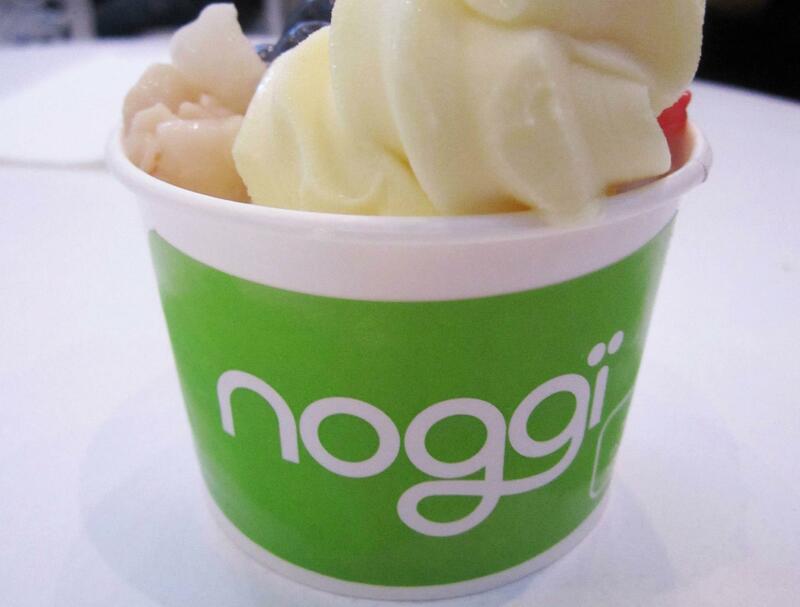 The usual flavours on offer at Noggi include Green Tea, Original, Biscotti and Pomegranate. We usually opt for the Green Tea (myself) and Biscotti (Miss K). Cones go for $3.2 whilst the cup with toppings is $4.50. Having been to Noggi as well as many of the other FroYo places available in Sydney I have to say this is our favourite by far, we’ve visited Noggi at least 10 times in the last year or so. 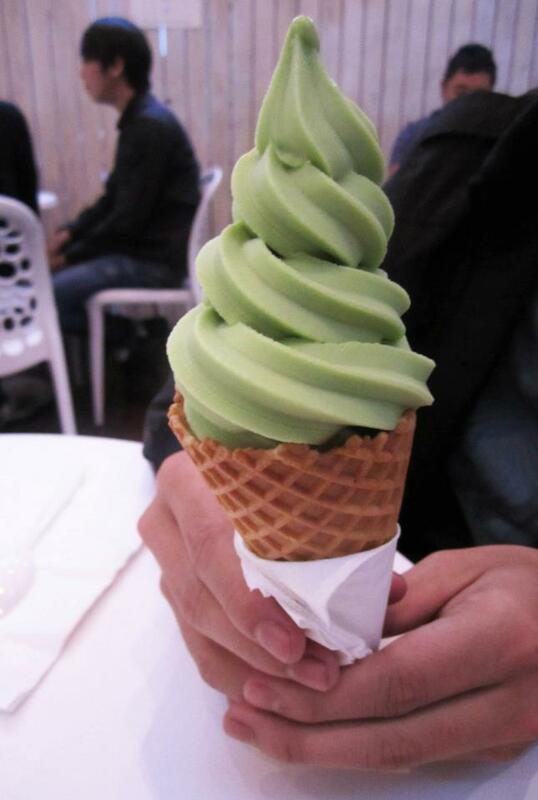 Although they don’t have as many flavours as some other newer places they have definitely made an effort to refine their flavours so that it’s much better than the competition and it goes to show especially when you benchmark using Green Tea (which is available at pretty much all FroYo stores). If you still haven’t tried Frozen Yogurt definitely get yourself to one of these places and try it! Ooh yum. I’ve recently fallen head over heels in love with froyo and I’ve visited Yogurberry and Moochi but am yet to try Noggi! Biscotti sounds like an amazing flavour! i love noggi! its my favourite froyo place out of all of them, so happy they are opening new one in city and Hurstville soon!